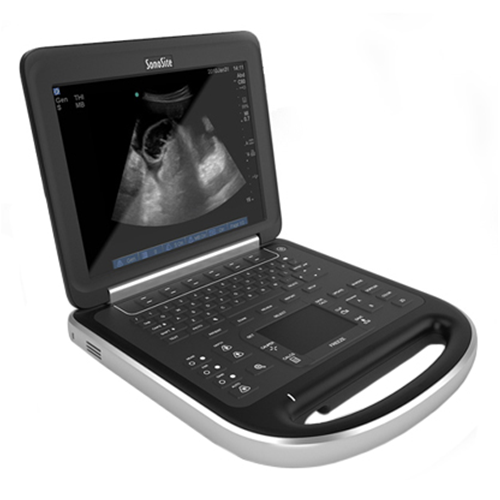 Builds upon technology found in the SonoSite M-Turbo, offering enhanced image quality over its predecessor, The SonoSite Edge ideal for Ob/Gyn, Musculoskeletal (MSK) Ultrasound, Pain Management, General imaging, as well as Vascular exams & vascular access. The SonoSite Edge may also be configured with CW Doppler for Cardiac exams (optional, not included). SonoHD2 Second Generation Imaging Technology – adaptive image clarity provides a new series of image enhancement algorithms that reduce speckle noise and image artifacts to give the EDGE ultrasound tool a new standard in point-of-care visualization image quality. SonoADAPT Tissue Optimization – eliminating complicated manipulation of multiple controls. SonoMB Multi-beam Imaging – increasing the resolution of small structures and enhancing border delineation.